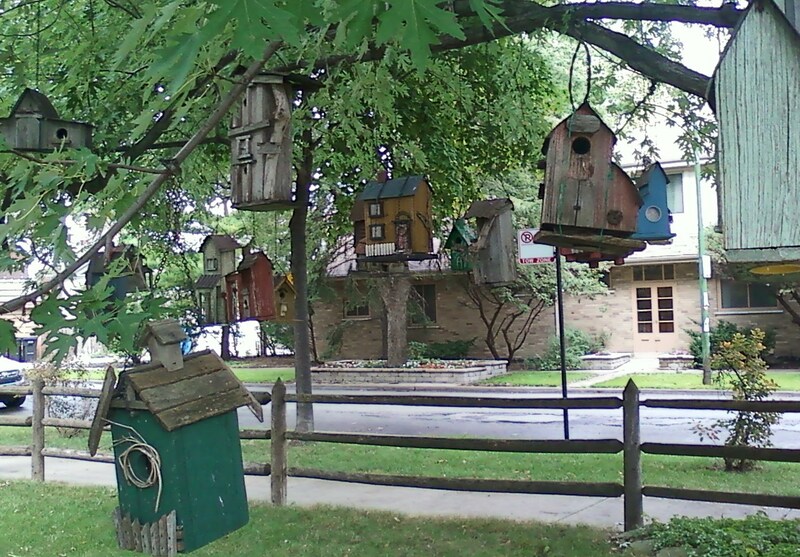 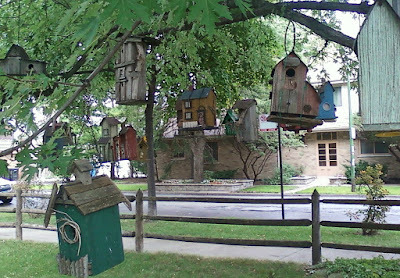 Dozens of rustic birdhouses of all shapes and sizes and colors make this house a must see on any neighborhood tour. 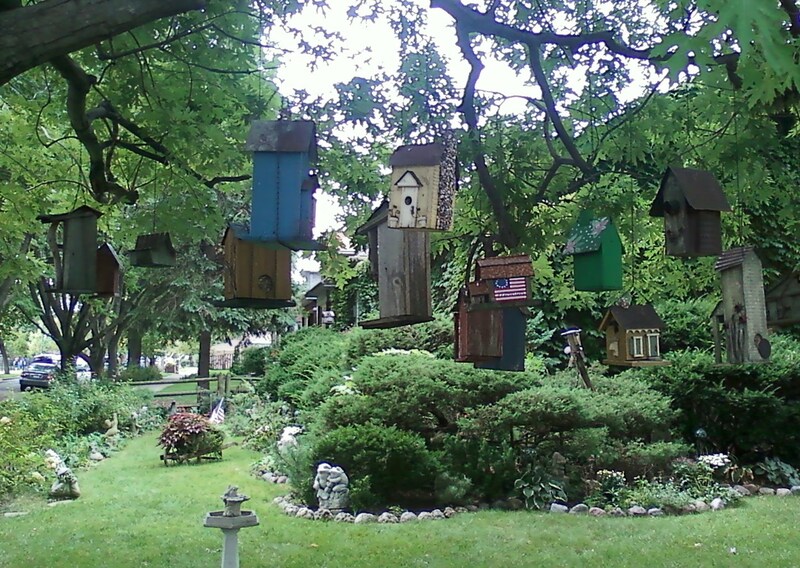 There might have been a time in my life when I would have thought "too much" when coming upon this garden full of frogs, fantasy, flowers, and birdhouses, but now it just seems... right. 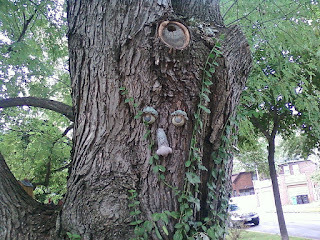 A bit magical. And, even though this garden works its magic all year long, it seems especially appropriate during either the Halloween season when the boundaries between the fantasy spirit world and the real world seem to evaporate for a few days or during the season of the year when we welcome the fairies of the Spring (Mayday.. sometimes called Beltane!). 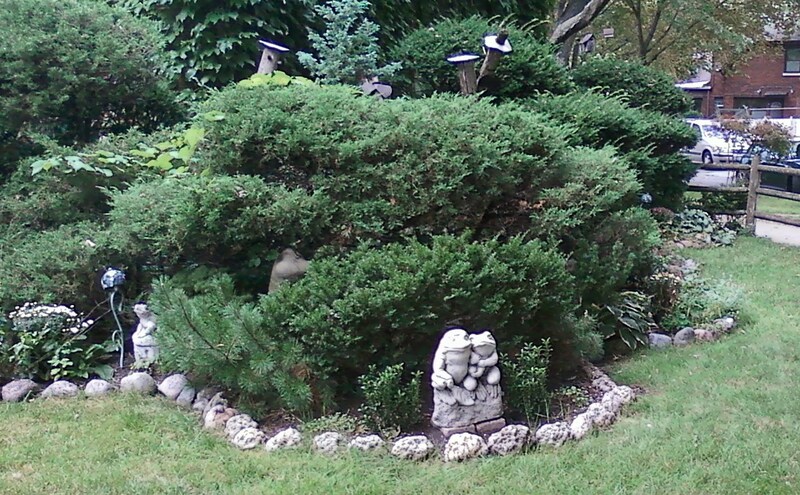 I tried to capture the flavor of the garden in these pictures, but much of the detail is not that clear. 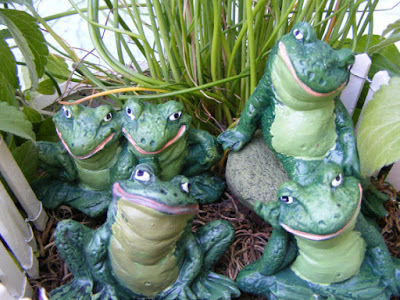 There might be ten or more frogs in various poses hanging out in those bushes, and there are a few other animals as well. 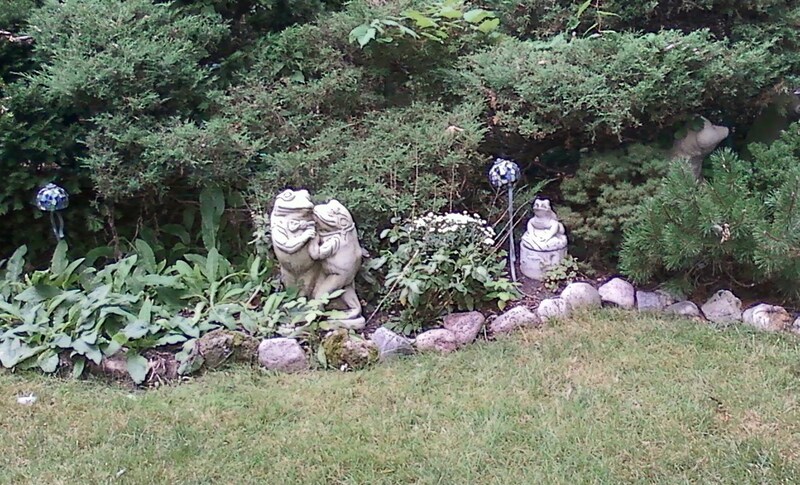 Stained glass garden lights stand behind the frogs in the second picture. Below, a detail of two more loving frogs and another frog just watching.. in the bushes to the right, some other creature stands guard...not sure what that one is. 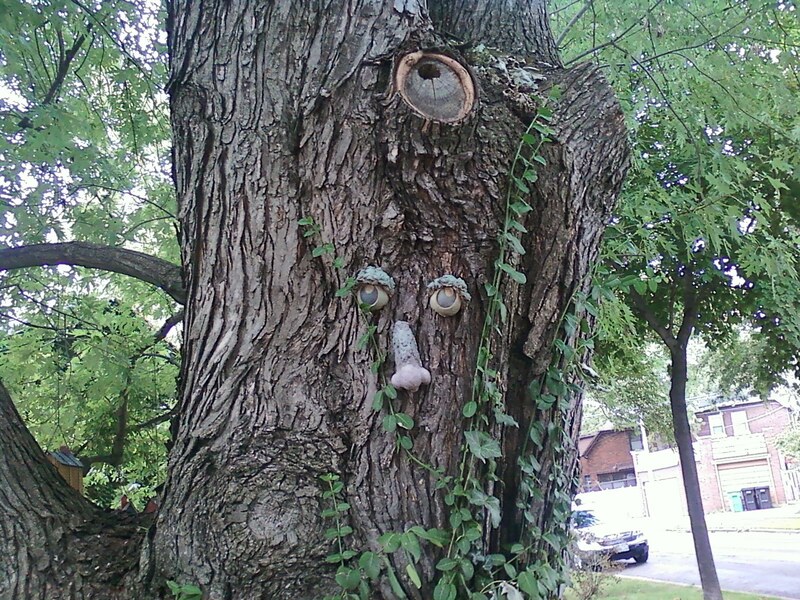 Create a magical fantasy garden of your own! 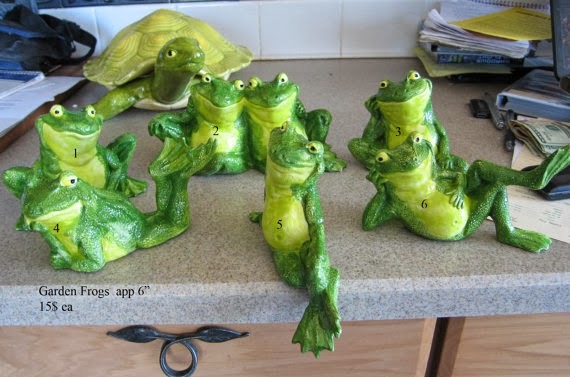 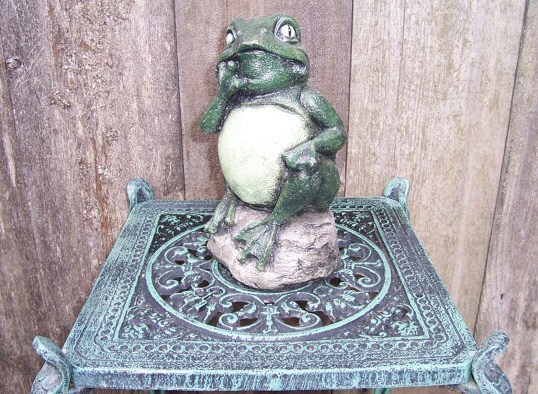 Here's another link to froggie garden stuff... 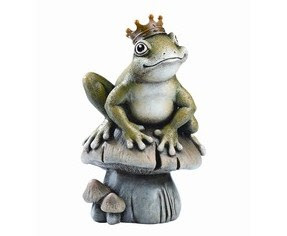 I will check it out a little later (written April 22, 2017) and report back!